Bus drivers routinely have students practice evacuation drills. National School Bus Safety Week puts a spotlight on the dangers that regular traffic can pose for bus drivers carrying students to and from school each day. Yet, in the Emporia Public Schools, the Transportation Department makes safety a priority every day. Director Shelby Harvel takes pride in the safety record her department has compiled during her eight-year tenure, and she credits the drivers with the low incidence of accidents. “We have a dedicated staff and as difficult as the work is sometimes, we make it work,” she said. “It’s a lot of responsibility. Drivers are responsible for safe driving, watching out for traffic and pedestrians, and supervising a bus-load of children. Support from the district administration allows the department to invest in safety tools that allow the drivers to focus on the road. All vehicles that are used to transport students must be inspected for safety each year and the department periodically undergoes a safety audit by the state. Emporia is among the 37 percent of Kansas districts with a perfect score on the review this year. Therefore, when a bus driver encounters water of the road on one of country routes, the driver must wait for someone to guide the bus back to turn around and change routes. “We take the time for safety and we will send someone out to back them up,” she said. Districts buses carry approximately 1,800 students to and from school daily, and most days include several out-of-town field trips and athletic trips. The department has 63 employees and 50 of them – including the director, mechanics, and all office personnel – are trained to drive a bus or Suburban. The district has 31 bus routes, and this year new school start times required changing the routes and schedules. “Routing is not the most difficult thing we do but it’s the most time-consuming. We have weekly changes to accommodate families that move to different addresses,” Harvel said. Wednesday will be a day of celebration to observe School Bus Driver Appreciation Day. The drivers will return from their routes shortly after 9 am for some refreshments before turning to a training on a more serious topic -Active Shooter Training for School Bus Drivers. Harvel has invited a nationally known trainer, Ret. Capt. Gary Moore, to conduct the training. It is offered to bus drivers at no charge through the Center for Education Safety. The training is based on lesson learned from the fatal shooting of a school bus driver and kidnapping of a student in Alabama in 2013. 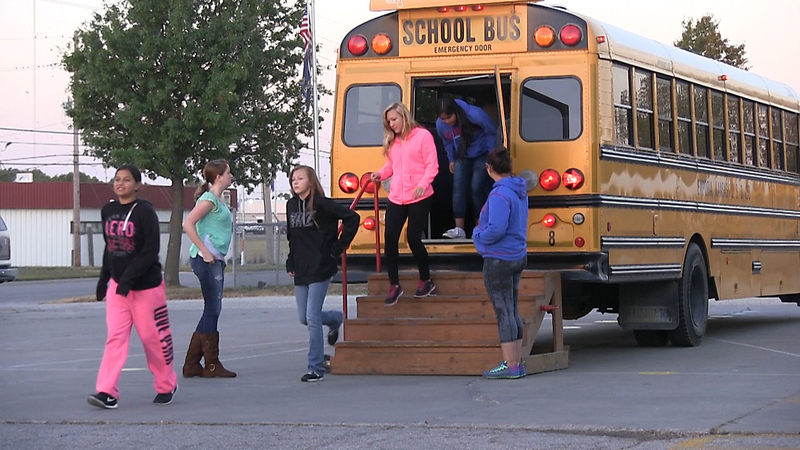 Harvel also has invited bus drivers from Southern Lyon County and North Lyon County school districts.